PK/K, 1st/2nd Grade, and 3rd/4th Grade registration is closed. Games will begin the week of March 19. Rosters were sent to coaches on 3/3/19 and you should hear from your coach this week. To be put on a waiting list send an email from our contact page. A Recreational Youth Soccer League At The Beach. Our mission is to provide a fun, relaxed atmosphere for youth soccer players. Open registration for the Spring season will start November 1 and run thru the end of January. Games are played on Tuesday (1st/2nd Grade) and Thursday (PK/K and 3rd/4th Grade) evenings at 5:30 p.m. across the street from Fletcher High School, 700 Seagate Avenue, Neptune Beach, FL. There is one additional practice day scheduled by your coach. Here in sunny Jacksonville Beach, Florida, there are few things that beat playing outdoors during the spring and fall when the temperature is just right. Taking part in outdoor activities is particularly important for growing boys and girls. As a parent, you know that your child's education matters, but what they'll remember most when they grow up are the days they spent in the sunshine, running over green grass, playing with their friends, and making new ones through teamwork and friendly competition. They'll think back fondly on the games they won and even the ones they lost. They'll recall lacing up their cleats and sipping Gatorade from paper cups surrounded by friends and teammates. These are the kinds of special moments that are truly irreplaceable. At Beaches Soccer League, we want every child to have the chance to experience moments just like these. Our youth soccer league represents a wonderful opportunity for your child to develop physically and mentally while building strong interpersonal skills that will serve them well in the years to come. Our coaching staff is made up entirely of parent volunteers, and all of our proceeds go to support girls and boys soccer programs at Fletcher High School. With reasonable prices and safety-focused rules in place, our kids' soccer club is the perfect choice for you and your child. Our recreational soccer league is offered for children ages 4 years old through the 4th grade. 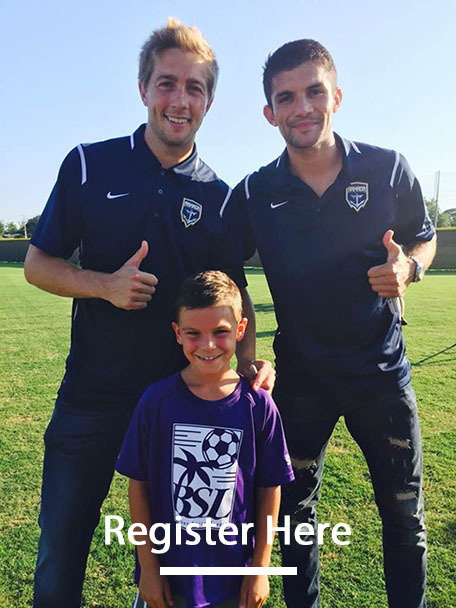 Your child will enjoy playing soccer with us. In order to ensure that our league remains safe, fair, and fun for all players, we follow some basic rules. Please take a few minutes to review them. Support soccer programs at Fletcher High School by signing your child up for our kid's soccer league. 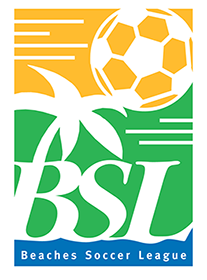 When you sign your child up to participate in Beaches Soccer League, you can be certain that they will have a blast, while developing important social and physical skills. More than creating a strong sports foundation, being part of a team establishes a solid foundation for life. Mike Levine organized Beaches Soccer League to provide a positive soccer experience for local youth. He was the Head Varsity Soccer Coach at Fletcher High School for 25 years and has more than 40 years of coaching experience. His knowledge and expertise enable our organization to provide kids with a positive sports experience. Our club is based at the San Pablo Elementary School fields across from Fletcher High School. If you'd like to learn more about our program, do not hesitate to get in touch with us; we look forward to meeting you and your young athlete.